We produce the most expensive spice in the world, also known as Red Gold, from certified organic bulbs in untreated, unsprayed, pristine land amidst the rolling hills of Northumberland County. Our unmatched saffron was subjected to laboratory analysis according to the International Organization for Standardization criteria - ISO 3632 and was evaluated to be among the very best in the world, Grade I. It even exceeded these norms and proudly surpasses the very highest ratings awarded by 45.5 points in Flavour and by 116.4 points in Colour (antioxidants). 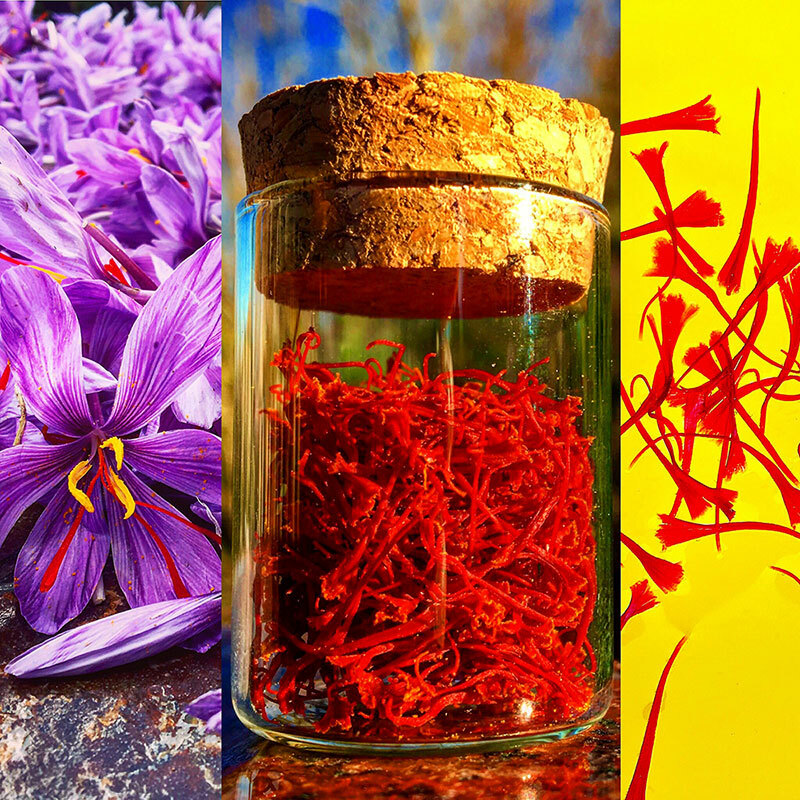 The health benefits offered by the antioxidants found in our hand-picked saffron are quite literally off the charts. It’s no wonder one of our collaborators was moved to declare: “A pinch of Red and you’re Golden!..”.